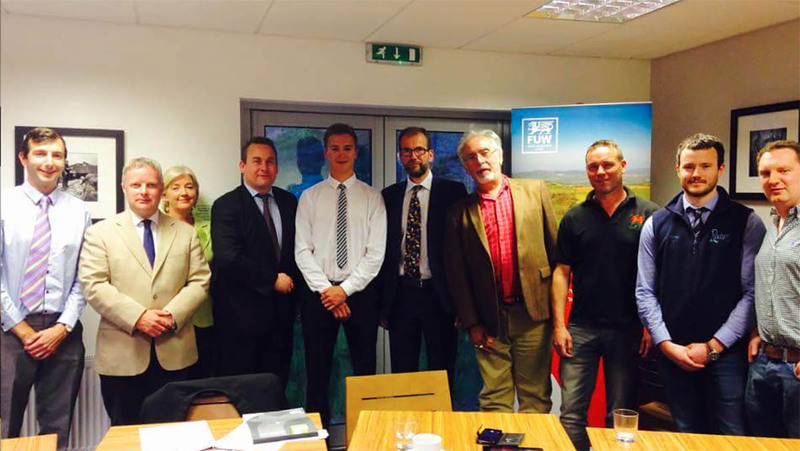 Support to get a foot on the farming ladder was top of the agenda at a hustings event for Welsh Young Farmers. The joint event, held by Brecknock and Radnor YFC and the Farmers’ Union of Wales at the Royal Welsh Agricultural Society showground, Builth Wells, saw candidates keen to push financial support and rural issues to the top spot ahead of next week’s General Election. Delegates heard five Brecon and Radnor constituency members pledge how they would support young farmers if elected. Event chairman and Brecknock YFC member Raiff Devlin said: “One of the main concerns for us was how difficult it was to get into the industry when coming from a non-farming background. Mr Devlin said while the open discussion became quite heated at times, with Labour candidate Dan Lodge at one point pledging to ‘chain [himself] to the railings of Westminster’ if Welsh agriculture was to receive a ‘penny less’ in post-Brexit support, young farmers were looking for concrete pledges. “It is all well and good saying Wales should get special treatment and a good deal, as politicians do, but until we see it, it is very difficult to believe,” Mr Devlin added. “The whole point of us holding a local hustings was to give young people a voice and be heard by those with political influence to make a change. “We are hopeful about the future but Welsh agriculture does not get the headlining we want it to – we have heard nothing from the Government about agriculture, let alone Welsh agriculture. Other topics surrounded a replacement for the Common Agricultural Policy, rural health care and rural broadband, while audience members raised concerns the wrong trade deal could limit welfare standards and quality. Marc Williams, Brecknock YFC senior member of the year, said he felt positive the party candidates seemed confident in young farmers and their roles in rural communities. He added: “They understand the difficulties with funding cuts but said they would support the YFC movement as much as they can, if elected as MP for Brecon and Radnor. Brian Bowen, member of the FUW presidential team, congratulated all those involved in the debate, but warned a particular concern was the lack of information available to farmers about the position of agriculture post-Brexit and the level of farm support parties were willing to provide. He said it was vital for rural constituencies to remind Parliamentary candidates of the importance of agriculture to the Welsh economy.